Throughout the past couple of months we have seen a significant improvement in the exchange rates between the UK Pound and the Rand. The impetus of this was the Brexit vote by the British public, causing the start of the process where the UK will leave the European Union. This has caused the pound to suffer in relation to other currencies, with the side-effect of causing a benefit to imports from the UK for South African companies. We distribute the range of conversation materials from CXD in the UK, and the landed costs of these has now reduced almost 20% from the peak a few months ago and is now at levels last seen around a year ago. We believe that now is a good time to purchase your conservation materials, since the prices are good and the exchange rate may not be sustainable over the longer term, although I freely admit that we ourselves are not economists ourselves and we rather read the mood of the opinions which we read about, hear, and see. In the past few weeks we have received many requests for archival boxes and boards, often in large quantities, and we would like to introduce you to some of these products, helping you to determine this is the right time for you to consider a purchase, stocking up for the future, or simply satisfying your current demands. These archival boxes are among the best of breed internationally for long-term, and constitute one of many other conservation products categories, such as papers, boards, polysters, and equipment, which we provide regularly to customers in South Africa. 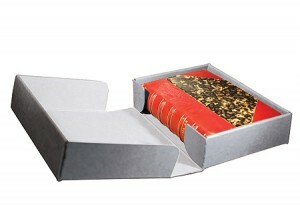 These are used for archival storage of books, documents, photographs, and prints. They come flat-packed and are assembled on-site by simply closing the flaps against the spine. The trays have double walls for extra protection. 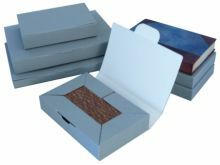 These boxes provide ease of access to the contents, with the top lying flat on opening. Special variations of these are available for photographs, microfilm, documents, periodicals, and there are variations with metal support and cloth covered boxes. Details can be found on pp. 11-21 of the catalogue. These are suited for glass plate negatives, microfiche, postcards, and CD storage. They are strong with a double thickness inner wall at the front, being acid-free and lignin free, as are all of the other boxes which we provide in this range. The hinge provides ease of access to the contents, and the internal space can be subdivided with channel panels and liners to support separation of the content while maintaining the quality of the materials. Most are delivered flat-packed, and these are available in a wide variety of sizes. Please check the catalogue pp. 22-27. These are used for storage and transport, and can be stored both horizontally and vertically. 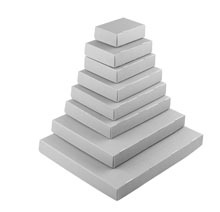 These are suited for newspapers, parchments, documents, photographs, prints, and drawings. 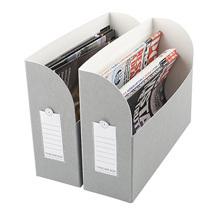 Another variation is the Cambridge Newspaper Storage System, specially designed for the long-term storage of original newspapers, which we recommend should be an essential element of a post-digitisation conservation strategy. These are boxes with a lid and base, suited for large-sized newspapers, as well as textiles. These provide maximum protection to rare and fragile items. 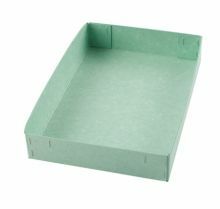 It is a two-part box with a full-depth lid, the base having two wide double-well “L” shaped sides which are mitred and hinged on the short sides. 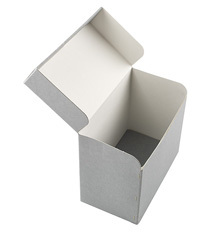 These boxes have a slidable tray inside the box, allowing for ease of access to fragile items even when these are stacked and without having to touch the object to gain access. 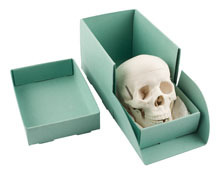 These are ideal for the handling of specimens and artefacts, such as are found in archival collections, natural history collections, and museums, in drawers and cabinets. Suitable for books, magazines, photographs, prints, pamphlets, etc. 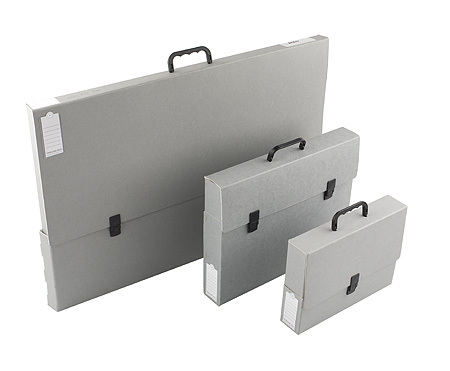 Highly suited for the long-term storage of maps, plans, prints, posters, drawings, and textiles. For help on selecting the right box for your requirements, please contact Gladys Rapatsa.